Mobile gaming is no longer a niche industry, it’s truly mainstream entertainment. In the U.S. alone, over half the population is now gaming on-the-go with no signs of slowing. What’s a little less known is this audience is broad and highly engaged with significant disposable income. At Chartboost, we have global reach at scale with mobile games that allows us to take a genuine snapshot today’s mobile gamer. In this report, we analyzed a sample of over 64M devices from the Chartboost network in US across Google Play and iOS. Partnering with Newzoo and TapFwd, we’ve gathered the key persona data you need to know. From individual data points to spending habits to emerging markets – get the full report (free!) here. The reach of mobile games in the US are growing at an exponential rate with 69 percent of mobile phone owners playing at least once a month. 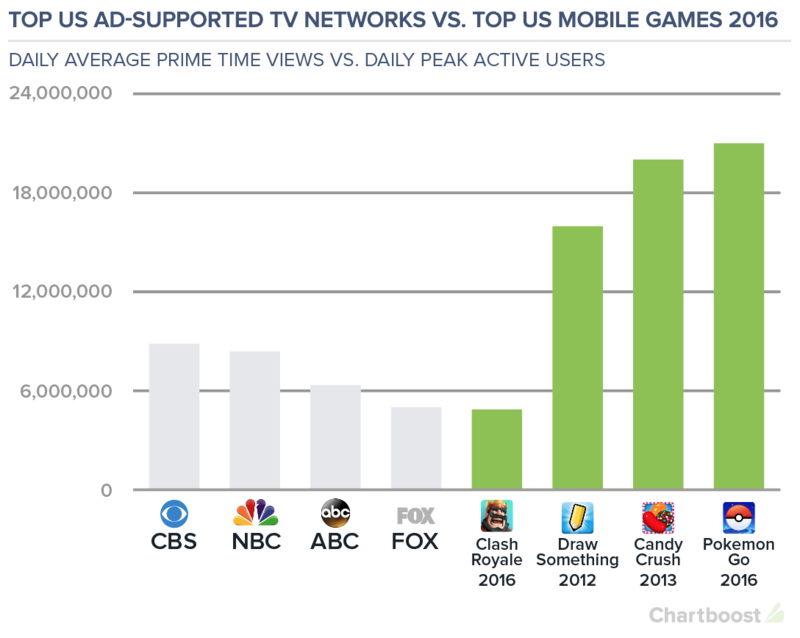 As games continue to dominate in the overall app store, mobile gamers are taking on traditional channels and reaching a bigger daily audience than prime time viewers on ABC, CBS and NBC. The traditional persona of a gamer today is shifting dramatically. 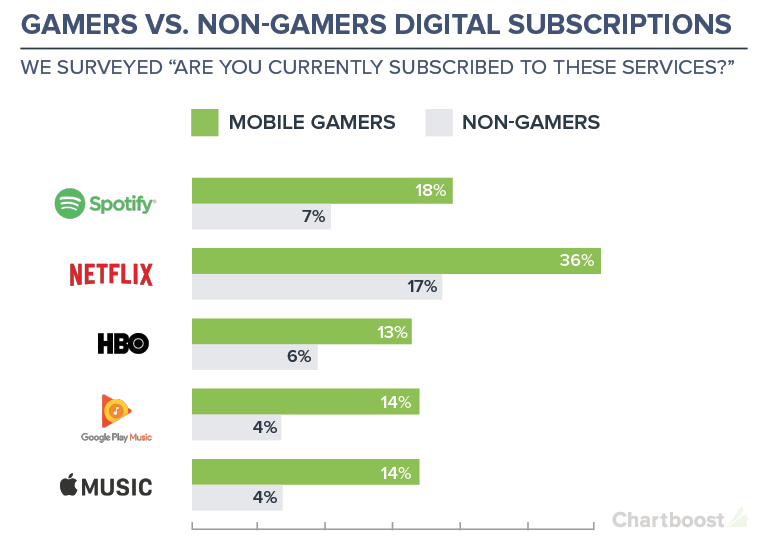 The rise of the casual gamer – driven by mobile – means today’s mobile gaming audience is very broad. It’s mostly female and over 25 years of age. Not only does the mobile games industry generate significant revenue, over 50 Billion last year compared to non-game apps’ 11.5 Billion, the mobile gaming audience itself is high value. 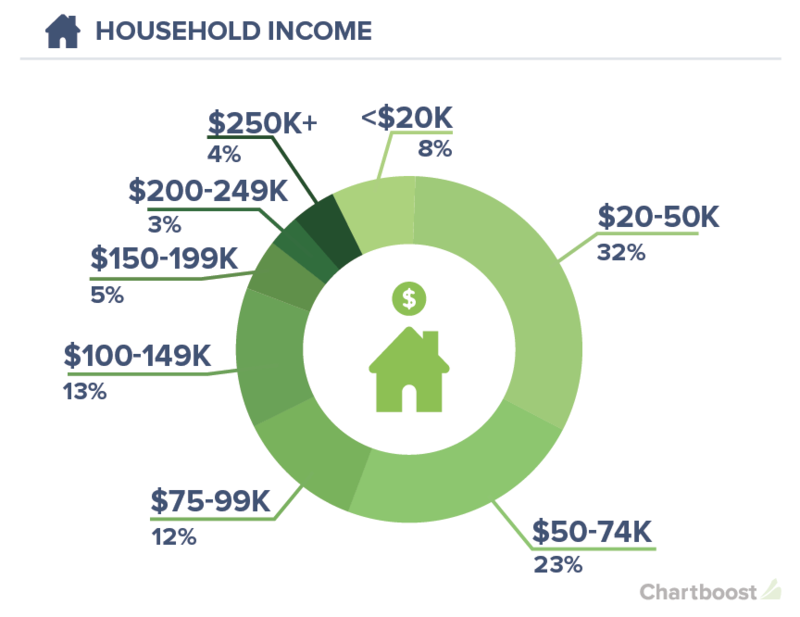 In fact, 60% earn a household income 50K and above. 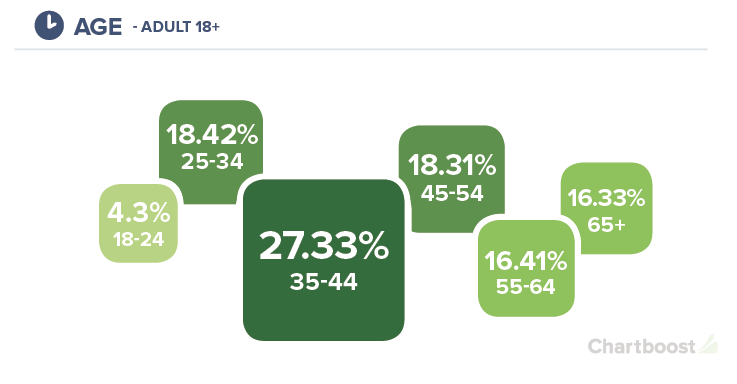 Last but not least, the mobile gaming audience is shopping more online more and highly engaged on mobile for most content consumption over non-gamers. They are more likely to be paying customers to digital services and spend significantly on apparel, travel, and dining. In summary, marketers looking into increasing their mobile presence can’t forget about the importance of gaming. Gaming apps constitute a privileged window for brands to access the most engaged and lucrative audiences on mobile. On the flip side, developers are eager to increase their monetization with the brands their players love. Get the full report here! Want to learn more? Contact our team at advertisers@chartboost.com.